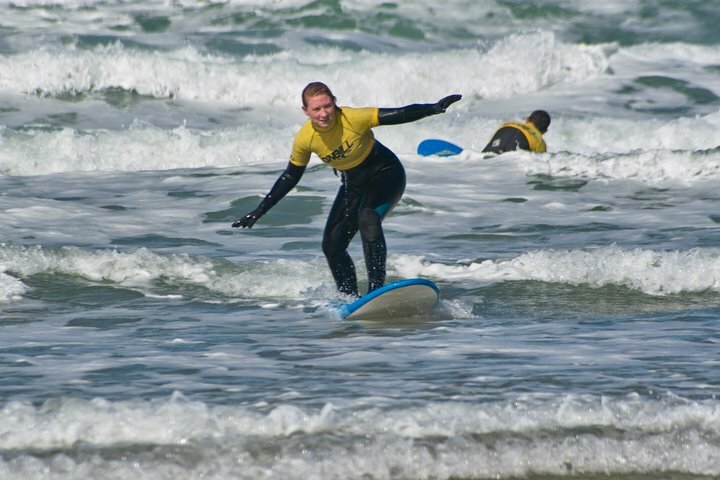 I said I’d be surfing again… I didn’t realise I’d be off back to Watergate Bay this year though… bring it on! I had such a good time on Easter Sunday surfing with the O’neill Surf Academy. By the end of the lesson I was standing up on the board all the way back to the beach, and it felt great! This time I’m going with a friend for a “short surf break” in July with the same Surf School (watch out Ash here we come!). We’re staying in their Surf Lodge for a couple of nights and having a full day of surfing. The rest of the time we’ll be eating and shopping!! I’m excited like a child right now – I am so looking forward to going back. I hope we get some good waves and I can remember everything I leant a few weeks back, and that my friend loves it as much as I do!